Police took the man to jail and impounded his tiny home. Police say they are investigating the incident. SAN DIEGO – A group of San Diegans are outraged after building a tiny house for a homeless man only to have police arrest him for living in it. Lisa Kogan was among those who raised money to have the tiny home built. “What has really hit me in my heart is there’s a need out here, there’s a need for people to have shelter,” Kogan said. Kogan saw a YouTube video about a man in Los Angeles who was building tiny homes for homeless people. Kogan wanted someone deserving. She found him. “Red cleans up around here every day, Red’s a good guy,” said Anthony Brown, who sleeps in a tent across the street from a church on 16th Street. Red, whose real name is Michael Clark, sleeps on the streets of downtown San Diego. He also works as a deacon at the International Love Ministries of God church, which helps the homeless downtown. On Saturday, Kogan gave Red his new tiny house. The “water lady” is a local hero in this area of the Navajo Nation. The “water lady’s” big yellow truck is a refreshing sight at the Navajo Nation. 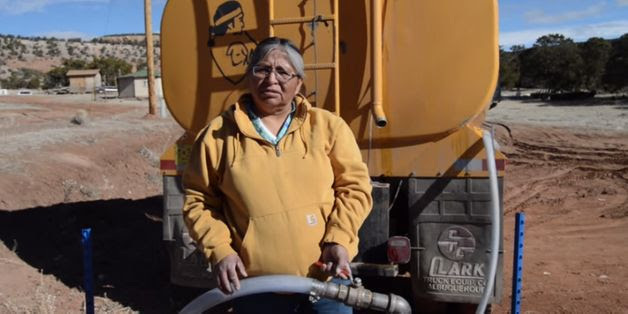 Darlene Arviso, known as “the water lady,” delivers water five days a week to communities without plumbing and clean water on the Navajo reservation surrounding Thoreau, New Mexico, Navajo Times reported. She totes over 3,000 gallons of water in her truck, traveling 75 miles and visiting about a dozen families every day. The humble sergeant thought nobody would know about the kind act. When he saw a man in need, this humble cop decided to help without expecting any recognition in return. Sgt. Brendan Hagarty of the Chicago Police Department in Illinois was having lunch at a Chipotle restaurant in early September when he saw a man picking through the trash outside, Hagarty told The Huffington Post. The officer tapped on the window to get the man’s attention, ushered him inside and bought him food. The interaction was caught on camera by Rachel Mitchell, who posted it to Facebook. It later went viral when a country music radio station, as well as Hagarty’s own department shared the posts. The pictures have received more than 10,000 shares and over 26,000 likes on the police department’s Facebook page alone. Steve Eagan, Lani Yost Lawson, Sue Self and 27,178 others like this. For English, choose English on the captions icon in media player. What would you do if you saw a freezing child? We set up a hidden camera and placed Johannes at a bus stop, in Oslo, Norway. This is what happened. SOS-barnebyer i Syria deler ut tusenvis av varme jakker og pledd til barn på flukt, og samtidig mobiliseres givere i Norge for å kunne hjelpe flere barn gjennom givernettverket SOS MAYDAY. A boy shivers in the harsh Oslo winter, pathetically wrapping his arms around himself on a bus stop bench. He isn’t wearing a coat and temperatures in the Norwegian capital regularly plunge to -10C during winter. A heartbreaking scene, but the actions of the ordinary people who witnessed the plight of 11 year old Johannes Lønnestad Flaaten is both joyous and inspiring. No, someone stole it,’ he replies. She questions him and discovers he was on a school trip and was told to meet his teacher at the bus stop. She asks him the name of his school and where he’s from as she selflessly drapes her own coat around his shoulders. Later, another older woman at first gives him her scarf, then wraps him in her large padded jacket. Johanne’s predicament was a hidden camera experiment by Norwegian charity SOS Children’s Village as part of their winter campaign to gather donations to send much-needed coats and blankets to help Syrian children get through the winter. Many of the refugees have left their homes without winter clothing. Throughout the day, more and more people offered Johannes their gloves and even the coats off their backs as they waited for their bus. One man even sat shivering in his t-shirt so Johanne could be wrapped up in his warm coat. Would you give a freezing child your coat? When approached by the Make-A-Wish Foundation , Jayci Glover, a terminally-ill teen couldn’t think of anything she wanted . Instead she chose to give back to the local High School that had done so much to support her. 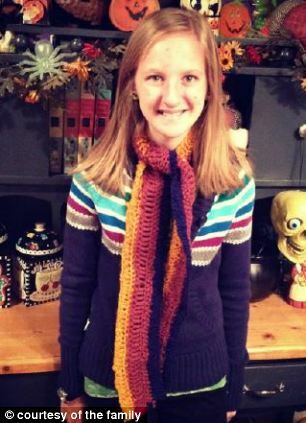 She may not make it to the basketball and volleyball games of her beloved high school teams, but a teenager with a rare type of terminal cancer is making sure they will play in style. Jayci Glover, right, and a friend share a happy moment. 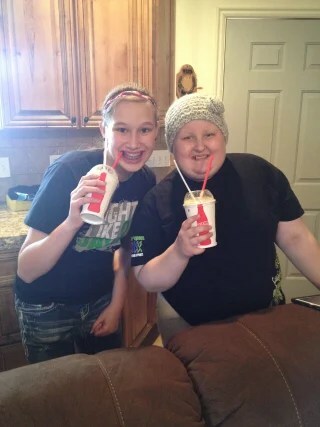 The terminally-ill teen loves mangoes so a local business created a mango smoothie named for her. When approached by the Make-A-Wish Foundation recently, Jayci Glover, a 13-year-old who lives in Kanab, Utah, simply asked for a new scoreboard for the local high school, where the students and athletes have embraced the girl and kept her spirits up during a difficult year. “She just decided that she didn’t really need anything, that she has everything she wants and wanted to give something back to all of her friends and the local community that’s done so much to support her,” her mother, Heather Glover, told TODAY Moms. Her mother said the family wasn’t surprised at all that Jayci’s would think of somebody else when making her wish. Make-A-Wish is paying $7,500 towards the cost of the new scoreboard, which will cost $20,000, said Karen Kelly, who is Jayci’s great aunt and works at the school. The plans are to put Jayci’s name on the scoreboard so she is always there in spirit and cheering on the teams. The girl, who was diagnosed with peripheral T-cell lymphoma, is at home on hospice care now after spending much of last year in and out of the hospital, Jayci’s mom said. “There just aren’t any more things they can try. We’ve tried every proven lymphoma treatment that there is and her cancer continued to grow through every single one of them,” Glover said. 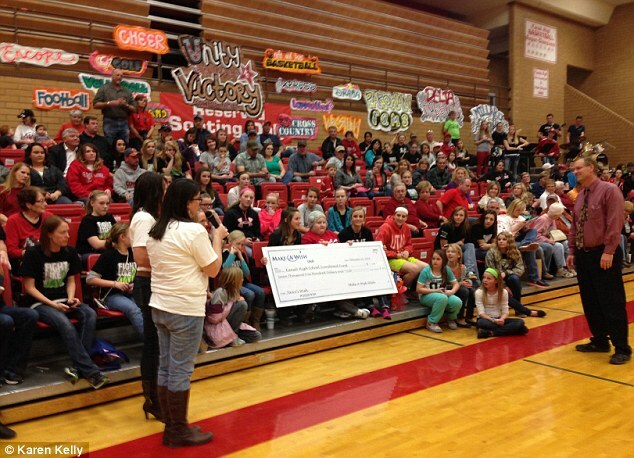 The Make-A-Wish check was presented during a ceremony at the local high school on Feb. 12. 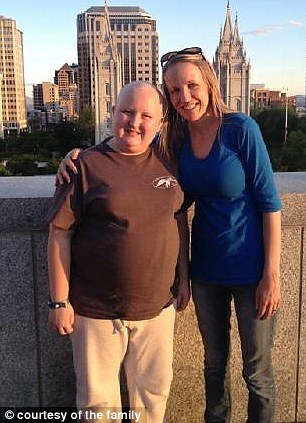 A Utah teenager with terminal cancer has made an incredibly selfless gesture after donating her $7,500 Make-A-Wish foundation gift to her high school. Jayci Glover, 13, has been fighting a rare form of terminal lymphoma for over a year, which has caused the previously healthy young girl to gain over 160lbs. When Make-A-Wish asked Jayci what she would like to do with the money, rather than ask for a trip to theme park, or a chance to meet a celebrity or sports star, she decided to gave her gift to Kanab High School to pay a new scoreboard for the gym. The foundation presented a $7,500 check to the school, in Jayci’s name, before a basketball game on February 12, reports Yahoo News. The boy’s team also paid tribute to their benefactor with ‘Fight Like Jayci’ T-shirts and every player also gave her a rose and a hug or kiss before the game. Even a $1 donation will help make a difference. Help make a difference Today. Join me in my efforts to support Jump Rope For Heart or Hoops For Heart! Even the smallest of donations make a big difference. We only have one heart! I want to take care of mine and help you take care of yours too! This year, I have set a personal goal to raise money for the American Heart Association at my school. Heart Disease can happen to anyone so it’s really important to be physically active and eat healthy. Did you know that heart disease is our nation’s number one killer? Help me become a lifesaver! Will you make a donation to help me reach my goal? It’s fast and easy to do on my personal webpage. Just use the link below to support me today! – Put up-to-the-minute research into doctors’ hands so they can better prevent and treat heart disease among patients. – Fund groundbreaking pediatric heart and stroke research. – Train more than 9 million health professionals and others each year in emergency cardiovascular care. Please support me in my efforts – together we can save lives! Thank you very much! I’m joining millions of others to help save lives with the American Heart Association! At my school, I’m learning how I can help make a difference by raising lifesaving donations to help kids with heart disease. I’m also learning about my own heart, and how to keep it healthy. And I’m getting active! I’m excited about raising money for other kids – kids with hearts that don’t exactly work right and to help fund new medicines and treatments to be discovered. Please help me make a difference! Thank you! Kenny Thompson paid the negative lunch balance fo over 60 kids at the school where he mentors and tutors. 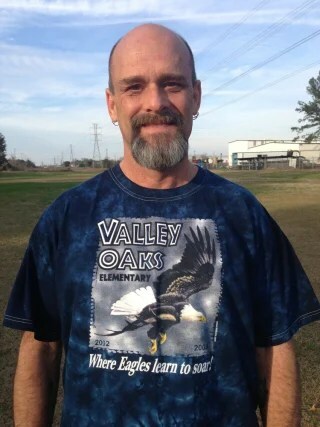 As a tutor and mentor at Valley Oaks Elementary School in Houston for over 10 years, Kenny Thompson has taken pride in helping out kids. So on Monday, when he found out that over 60 students at his school were eating cold sandwiches for lunch because of overdue funds on their accounts, he decided to pay off the negative balance. All $465 of it. He didn’t realize how widespread the lunch account problem was until he learned that a Utah school had thrown away the lunches of students with negative balances at the end of January. That’s when he decided to look into the issue in his own community. He found out that some students whose parents hadn’t paid were eating cold cheese or peanut butter and jelly sandwiches for lunch, instead of hot, hearty fare. And others avoided the lunch line altogether, preferring not to eat rather than face the embarrassment of not being able to afford the same lunch in front of their peers. Many of these students were already on reduced lunch, which costs just 40 cents a day. His wife, a teacher at Valley Oaks, encouraged him to follow through on the idea, but warned him that he wouldn’t be able to buy the new pair of Doc Martens he’d wanted. That was quite all right with Thompson. “My work boots are still good,” he said with a chuckle. Houston residents heard about Thompson’s generosity when his story aired on a local news station, NBC affiliate KPRC, on Wednesday. Like most parents of a premature baby, Erin Cox suddenly found herself in a whirl of doctors, machines and incubators when her daughter came into the world. Evalee was born two months early, not long after Cox’s water broke without any warning 30 weeks into her pregnancy. When the baby was delivered via Cesarean section at a Kansas City hospital last June, she weighed just 4 pounds. Erin Cox holds her daughter Evalee at the neonatal intensive care unit of a Kansas City hospital last summer. “She was very tiny. I mean, you walk around in the beginning holding her and it’s like holding a bag of cotton balls,” Cox, 33, told TODAY Moms. The pictures, tender portraits taken during Evalee’s three-week stay in the hospital’s neonatal intensive care unit, came courtesy of Jessica Strom, a Kansas City photographer who has made it her mission to provide free photo sessions to local families of preemies. Baby Haven, photographed in the NICU by Jessica Strom. 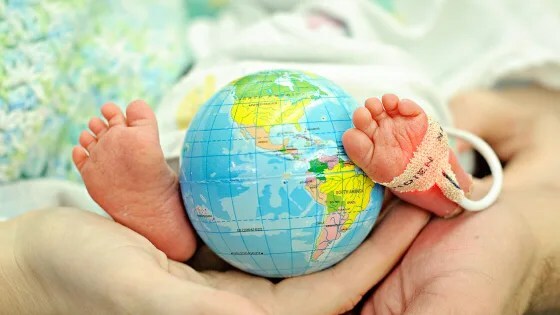 Various organizations have started similar efforts in recent years, including Preemie Prints, a Texas nonprofit that has about 60 volunteer NICU photographers in more than a dozen states, and Capturing Hopes Photography, which has 21 volunteers in Winston Salem, N.C. Most NICUs allow photography as long as no flash is used, said Sherri Crum, assistant director of Preemie Prints. 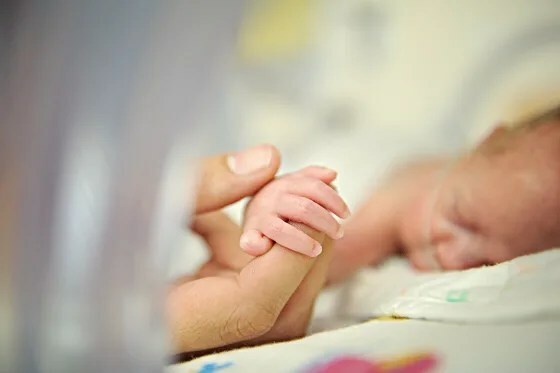 It’s a service that may touch many families: One out of every eight babies is born prematurely in the U.S., according to the CDC. The agency doesn’t track how many are admitted to the NICU. See photos of tiny babies that photographer Jessica Strom takes free of charge. Strom calls the tiny patients warriors. That chance to be “normal” is as precious as the images themselves for the parents, who watch other couples take their babies home right away. 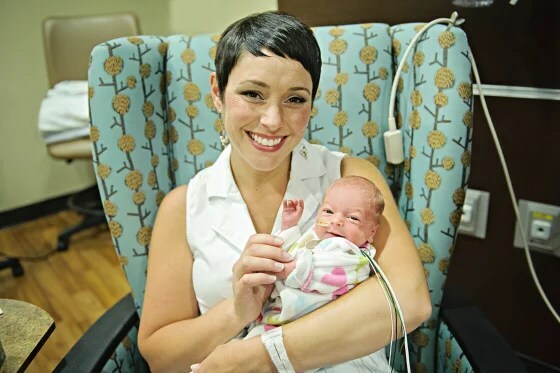 Strom knows the pictures she takes allow these weary moms and dads to show off baby photos just like everybody else and give them a break from the day-to-day hospital routine. This post was first published on Glennon Doyle Melton’s blog, Momastery, on Jan. 30. In less than a day it was shared more than 1 million times. We wanted to share it with you. Author Glennon Doyle Melton with her family; her conversation with her son’s teacher sparked this post. You see, Chase’s teacher is not looking for a new seating chart or “exceptional citizens.” Chase’s teacher is looking for lonely children. She’s looking for children who are struggling to connect with other children. She’s identifying the little ones who are falling through the cracks of the class’s social life. She is discovering whose gifts are going unnoticed by their peers. And she’s pinning down — right away — who’s being bullied and who is doing the bullying. Jogger Helps Rescue Man who Jumped into Icy Waters to Save His Dog. A life and death struggle took place in Montrose Harbor, Ill., on Tuesday night after a man made a desperate attempt to save his dog from drowning in Lake Michigan, reported Wednesday’s NBC Chicago News. The man, whose name has not been released, had broken through the layer of ice on the frigid lake after his dog fell in and he tried to retrieve him. By the time that good Samaritans were on the scene, only the man’s head was above the bitterly cold water. 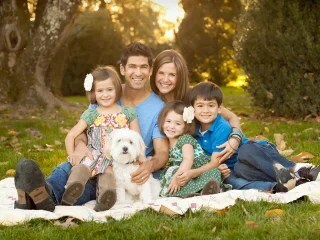 Help for the man came from Adam Dominik, a jogger who happened to be in the area. I knew I had about two or three minutes before hypothermia set in and he went under, so I had Lynn keep talking to him and keep his spirits up. Dominik sprang into action, finding a rope and working to pull the man towards shore. A passing jogger helped rescue a man who attempted to save his pet poodle from icy Lake Michigan Tuesday, just south of Montrose Harbor. The man was walking with three poodles at about 5:15 p.m. when one of the dogs ran around a retaining wall onto the ice and fell in. The owner went after him and fell in the water as well. Adam Dominik was jogging near the bird sanctuary when he heard dogs barking and ran to the scene. A cross-country skier named Lynn Gerhard was already there, and was in the process of calling 911. Dominik says he found a yellow twine rope near the bird sanctuary and attempted to pull the man out, who was 10 feet away, below the ice-encased retaining wall. Dominik (pictured, right) managed to pull the man and the dog closer to the shoreline, and that’s when members of the Chicago Police Department Marine Unit and the fire department arrived and finished the job.